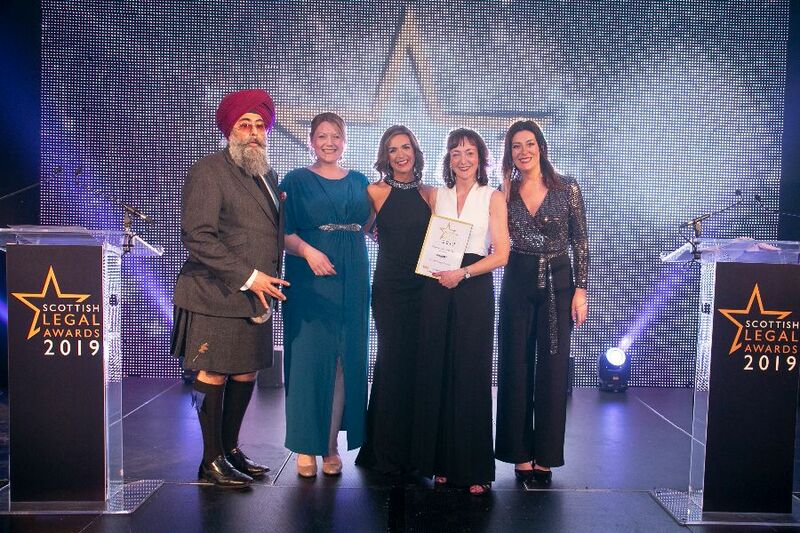 Allan McDougall Solicitors won the Litigation Team of the Year award in the Scottish Legal Awards 2019 at an awards ceremony in Glasgow last night. 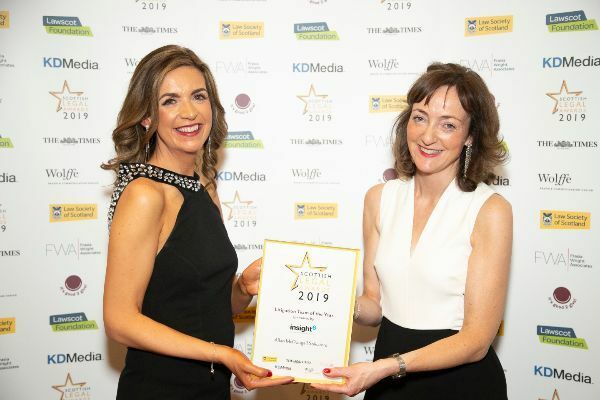 Julie Harris, partner and head of personal injury at Allan McDougall Solicitors, said: “We’re beyond thrilled to have won this award. The competition in this category was formidable, so it’s particularly rewarding to be recognised by the judges. We have a fantastic team of lawyers, PAs and support staff – very well done to all the team! We’d also like to say thanks very much to our clients across Scotland, both for choosing us to represent you and for giving us such consistently outstanding feedback. We’re fortunate to work with talented QCs, advocates and medical experts , as well as with other law firms whose clients we assist via our Injury Compensation Alliance – thank you so much for helping us to succeed.